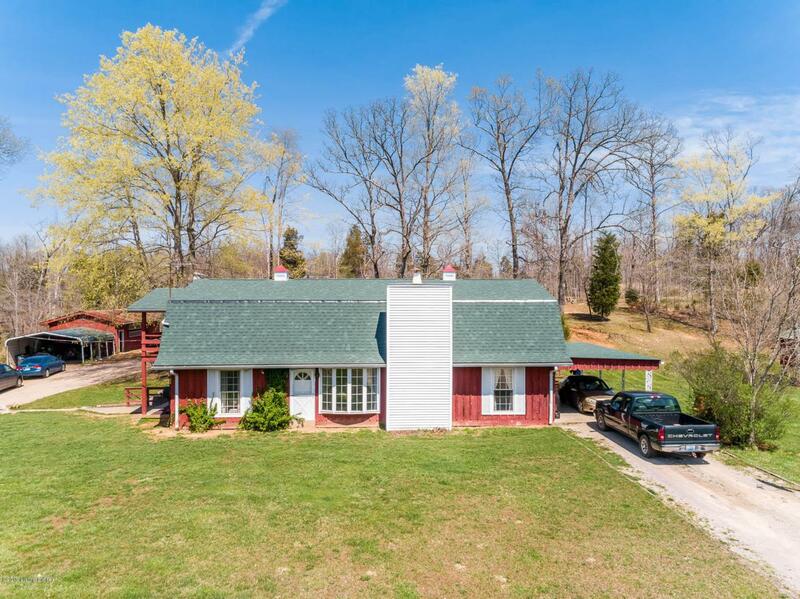 You'll love the solitude of your unique country home at the center of 11+ serene acres of beautiful land. With an extremely open design, the main floor of your home stretches from one end of the house to the other, with exposed wood beams on the ceiling and two-story vaulted ceiling at its center. Spiral staircases lead to lofts at either side of the home, both currently utilized as bedrooms by the owners. A wood burning fireplace and gorgeous bay window round out the special features of your main floor. The finished basement may need some updates, but can serve as it's own separate apartment with 2 rooms currently used as bedrooms. It has a private exterior entrance and full kitchen. The land includes a fully stocked minnow pond, attached 2-car carport, and a barn and stable barn.